They make music. They make movies. Now they are making beer. Rock Brothers, the brewery behind the beer, focuses on collaborations with musicians. 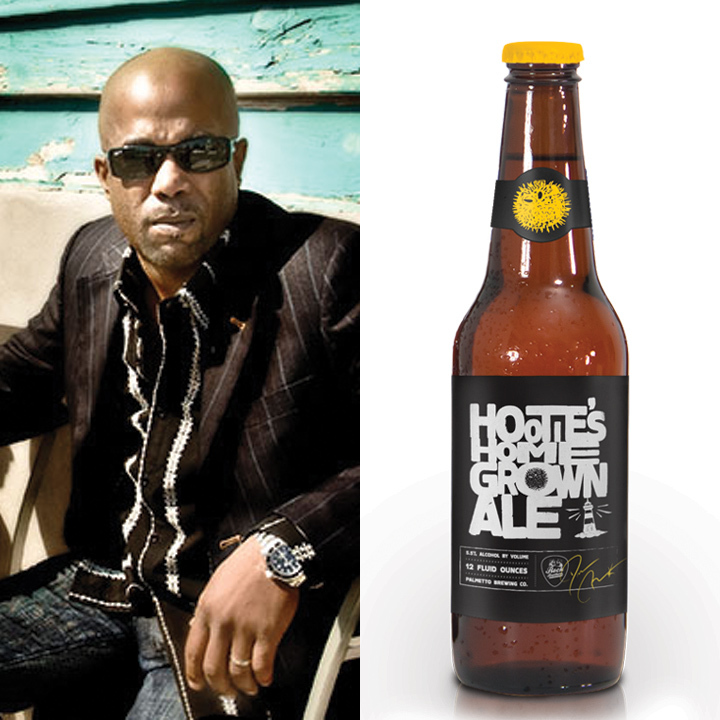 The Hootie Ale is brewed in the band’s hometown of Charleston, SC, and is brewed using local gold rice and lemongrass. 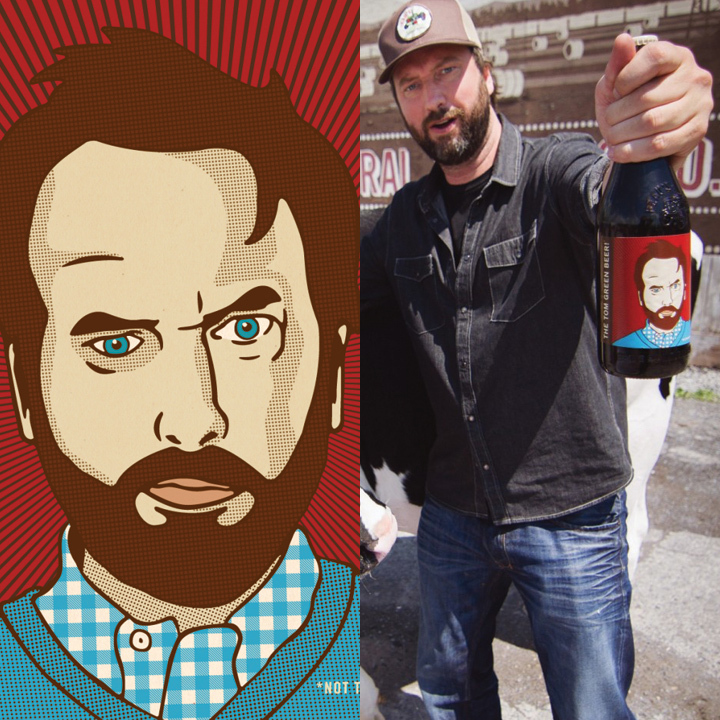 Canadian brewer Beau’s partnered with the infamous comedian provocateur—and fellow Canuck—Tom Green for “The Tom Green Beer!”. He’s probably best known for his self-titled MTV program, The Tom Green Show, but he also stole scenes in early-aughts films such as Road Trip and Charlie’s Angels. Despite Green’s penchant for twisted comedy, this beer is serious. Made from local spring water, English Ale yeast and lactose, plus organic barley malts, oats and hops, this 5.0 % ABV milk stout is complex, with prominent espresso and chocolate notes. And, unlike most beers, it has its own theme song. 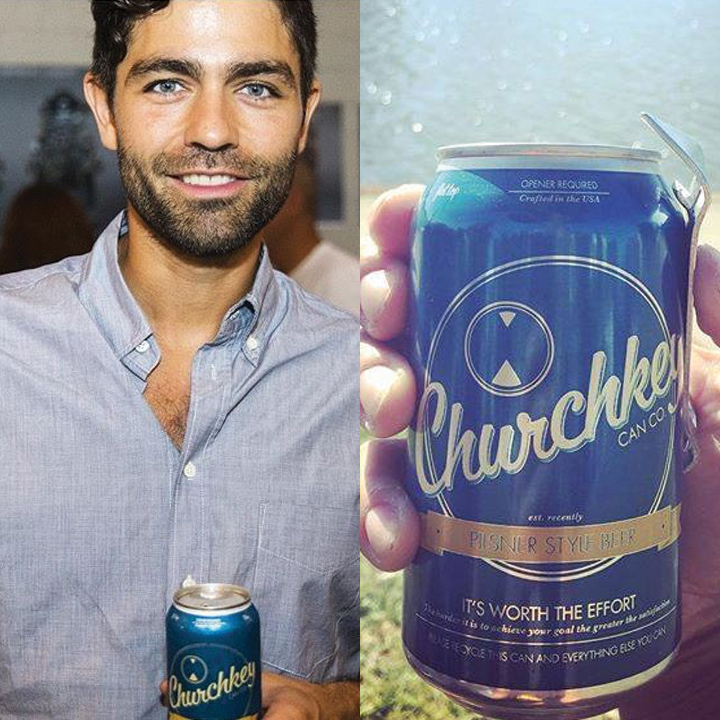 Packaged with a unique quirk—a flat top that requires an actual “church key” to open—this up-and-coming Pilsner from the Northwest was co-founded by Adrian Grenier, who plays Vincent Chase on the hit show Entourage. Grenier and co-founder Just Hawkins’ idea for the old-school packaging began as a desire to “experience a great beer in a simple can, as the generations before had.” The recipe for the beer came from Portland, Oregon-based home brewers. 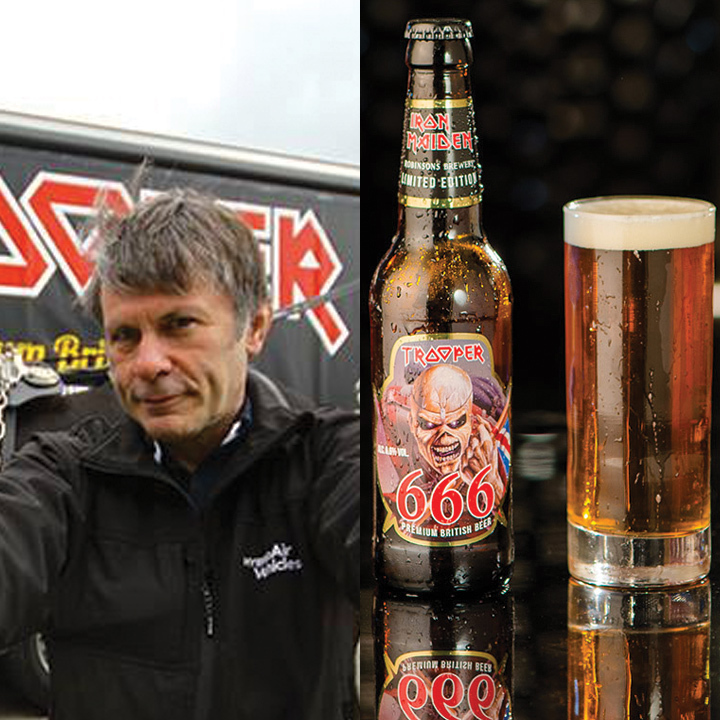 Metal God and Iron Maiden vocalist Bruce Dickinson is a fan of traditional English cask beer. So even though a “Run to the Pils” Pilsner would be a natural gimmick for an Iron Maiden beer, they landed on a more quintessentially British ESB. The beer’s name comes from the band’s epic track of the same name. Their brewery partners, Robinsons, recently announced a second Maiden beer, Trooper 666, which is essentially the same recipe, but with the ABV pushed up to the very metal 6.66 percent. If it seems like only yesterday that the frustratingly catchy hook to MMMBop was invading your brain, that could help explain the internet’s collective gasp upon learning that youngest Hanson, Zac, was turning 30. In spite of becoming 90s icons and then receding from the limelight before being old enough to enter a bar, the brothers launched their own beer in 2013. 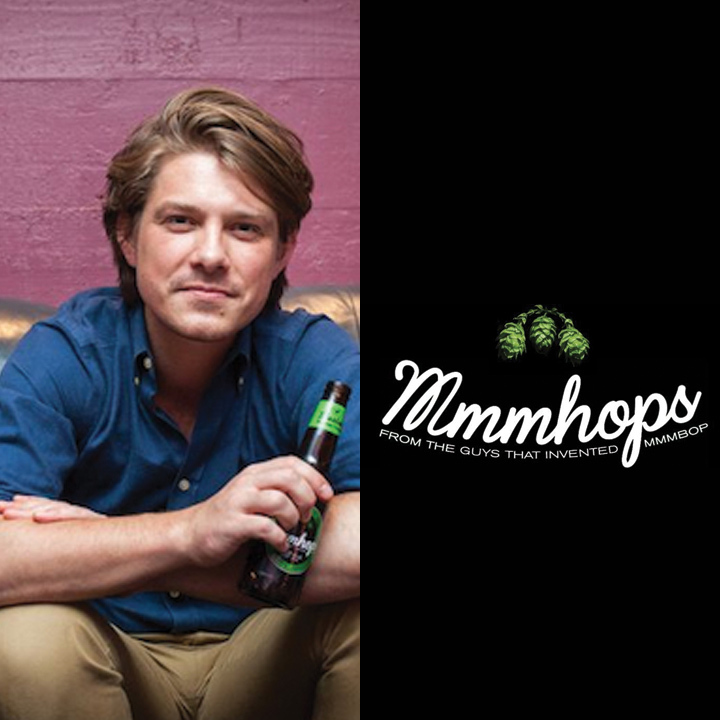 MmmHops is described as a “full-bodied Pale Ale, with a unique toasted malt signature and a refreshing hoppy finish.” Ten percent of the proceeds from the hobby, boppy, beer go to clean drinking water efforts. 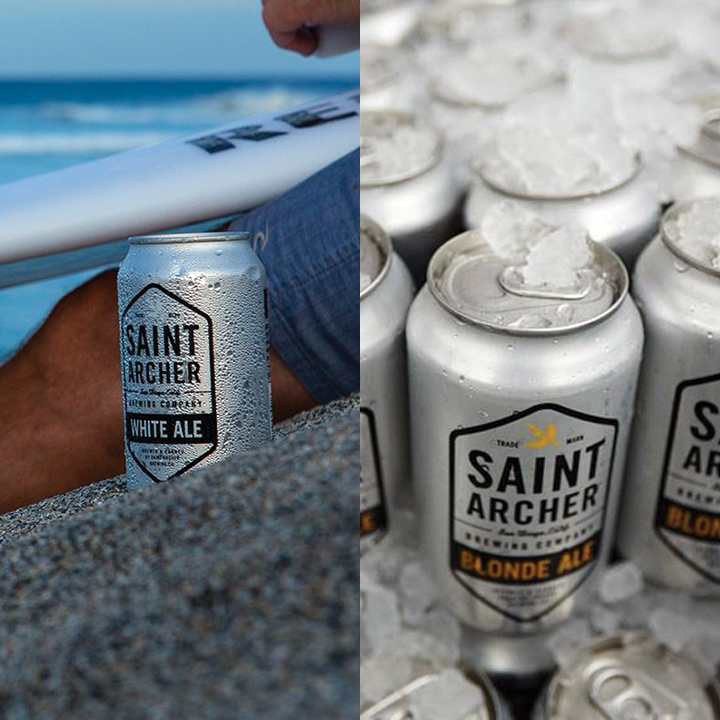 Launched back in 2012 in sunny San Diego, brewery Saint Archer really took to heart the idea of celebrity involvement: instead of paying famous faces to like the beer, Archer made its ambassador’s co-owners. Those co-owners include recognizable skateboarding, surfing and snowboarding names such as Eric Koston, Taylor Knox and Paul Rodriguez, so it’s no wonder the brand has blown up quickly. Fans of Ales, Saint Archer produces a blonde, a white, a pale, an IPA, and a double IPA, plus a rotating roster of special edition beers. Atlanta heavy metal heroes Mastodon are no strangers to merchandising. Their site features the usual stuff—shirts, patches, records—but you can also score everything from jigsaw puzzles to bikinis and christmas ornaments. And, not unusual for metal band, they like beer. So much, in fact, the band’s had its name on three different beers from around the world. There’s there monstrous 8.3% Double IPA, Black Tongue, brewed by UK music/beer aficianados, Signature Brew. There’s also Mahr’s Mastadon, a “serious but chuggable lager” brewed in Germany by Mahrs Bräu (here’s their site, if you can understand German). 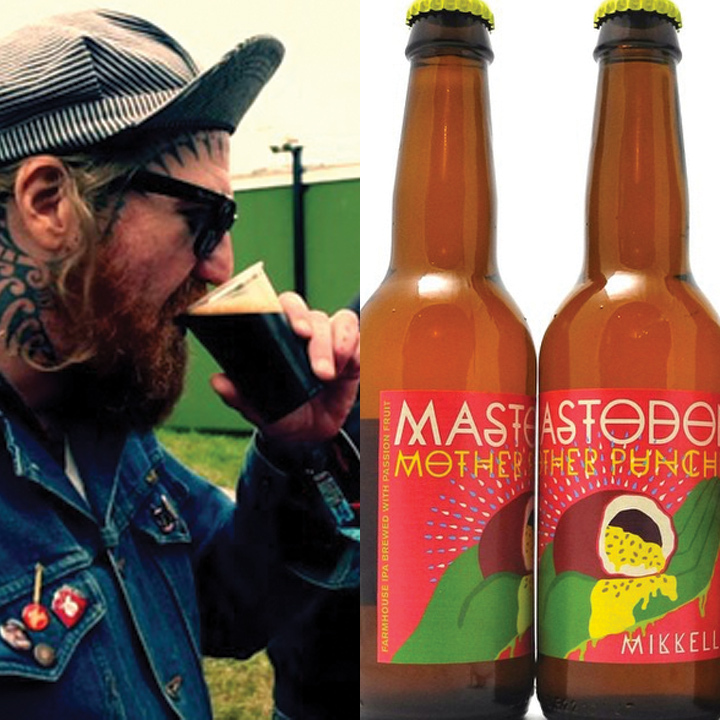 This summer, the band announced a collaboration with Dutch microbrewer Mikkeler, for a farmhouse IPA named Mastodon Mother Punch. Lighter than their last offerings, this new brew prominently features passion fruit.